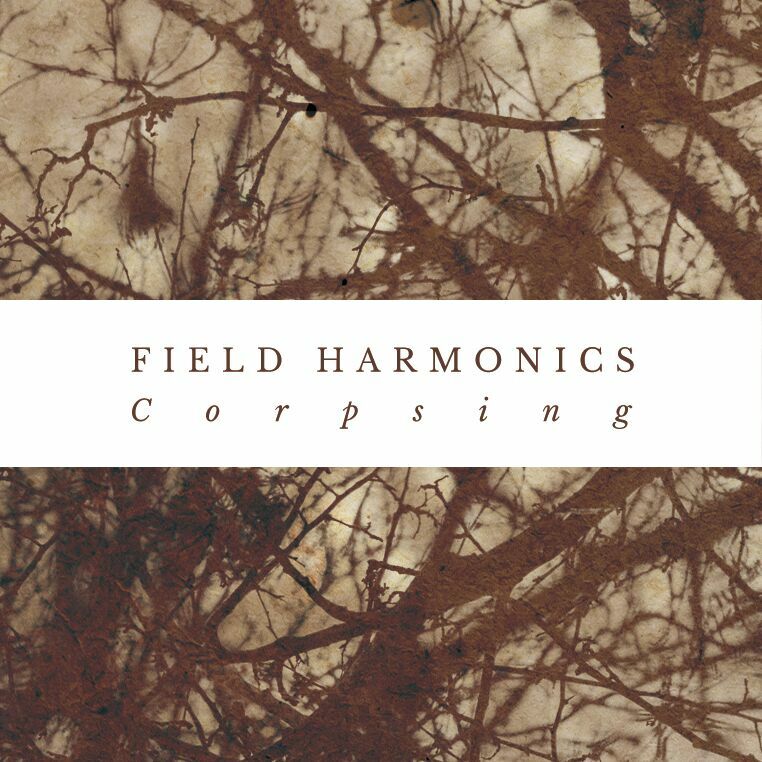 We are proud to present ‘Corpsing’ by Field Harmonics on Friday 30th March 2018, a cassette and digital-only release that marks the label's introduction to a year of new music by label stalwarts and a special guest. 'Corpsing' is the result of conscious re-evaluation and processing with an intended outcome: to leave pop music behind. It serves as a further re-assertion for the founding member of Field Harmonics, Robert Glover, and his desire to get back to the roots of why he was initially inspired by this solo project. This is a representation of an album we will never hear, the door is closed on that period of time: namely the culmination of 2016’s album 'Corners', in which Glover worked and performed with collaborator Bryony Williams, who still features on this release albeit in a purposefully obfuscated manner. Having initially finished new songs in 2016, with Williams, that furthered the pop-sensibilities of their previous collaboration, Glover took time to reflect by shelving the results for 8 months. This in-turn gave Glover a fresh perspective and realisation that this was not the direction he wished to pursue with the project. This is an album about process: “My process was clear​ ​–​ ​don’t​ ​listen​ ​to​ ​the​ ​last​ ​full​ ​mix​ ​of​ ​the​ ​material,​ ​resolutely​ ​strip​ ​away​ ​any​ ​extraneous​ ​elements​ ​- then​ ​reconfigure,​ ​finding​ ​new​ ​forms​ ​and​ ​structures. "Strip​ ​away​ ​the countless​ ​layers​ ​and​ ​rhythms​ ​to​ ​reveal​ ​the​ ​beauty​ ​of​ ​a​ ​vocal,​ ​synth​ ​line​ ​or​ ​texture​ ​-​ ​otherwise​ ​buried beneath​ ​the​ ​multi-layered​ ​production.​ ​Reconfigure​ ​these​ ​sounds​ ​through​ ​spatial,​ ​granular​ ​and distortion-based​ ​processing​ ​and​ ​eschew​ ​any​ ​locked​ ​BPM​ ​or​ ​gridded​ ​structure. ​Produce​ ​something​ ​more abstracted,​ ​fluid​ ​and​ ​immediate.” - Robert Glover, Field Harmonics. Corpsing marks the first release denoting a journey Wayside & Woodland will continue to explore throughout the year, with sonic revelations on subjects that feel very personal to the artists. 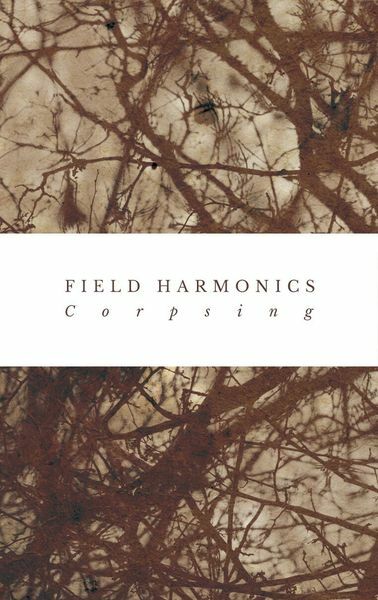 Field Harmonics' Corpsing is presented on white cassette tape housed in full colour 'O' card sleeve with white card wraparound + inserts. 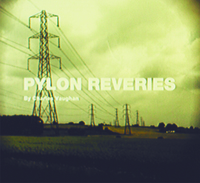 Pre-orders will ship week commencing 26th March, just ahead of release date.